One of the many highlights of any tour around Turkey, a balloon flight in the 'moonscaped' Cappadocia region, a place of incredible natural beauty amid the visible history of several past civilisations. Traverse the breathtaking Turkish landscape from East to West, hiking through lush mountain ranges walking in the footsteps of history or paddling in the warm waters of the Mediterranean. Drawing on years of experience delighting travellers, Fairy Chimneys Travel has designed our own exclusive Classic Turkey Tours. These planned itineraries offer an inside glimpse into Turkey’s most stunning locations. Let our experts guide you to the most mouth‐watering places for mezze in charming Turkish villages and meet the locals who made it. Explore the opulent Ottoman palaces of Istanbul and discover the fascinating history of their harems. Along the way, enjoy some of Turkey’s most unique accommodation. Stay in boutique lodges, luxurious palaces or delightful B&Bs. Your authentic Turkey experience will encompass this vibrant land of contrasts from glimmering coast to coast. Exploring Turkey with a Classic Turkey Tour lets you savour the very best of Turkey. 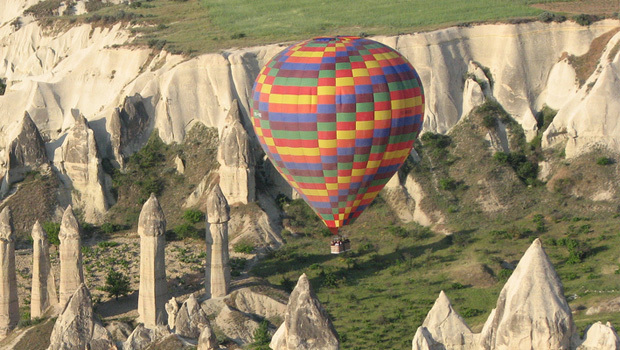 Contact Fairy Chimneys Travel to ask how you can have a classic Turkey experience.